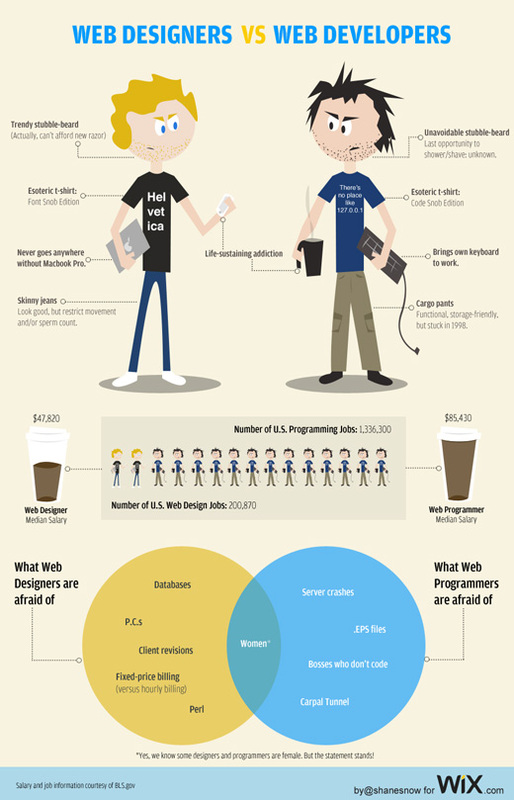 Web Designers and Web Developers work pretty well together most of the time, right? The developers code up the websites and the designers make them look pretty. Sounds like a match made in heaven, doesn’t it? Shane Snow has created a great infographic which I think sums up the battle between designers and developers pretty well. I can assure you that there are absolutely no stereotypes present in this infographic and all information included in the graphic is highly accurate. Great work @shanesnow! If you’re like me and kind of in between, you may like the check out this post. 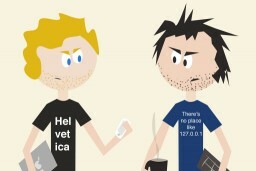 Are you a designer, a coder or a bit of both?